Yes, the bullion banks pounded gold and silver again today but our readers are a pretty savvy group. 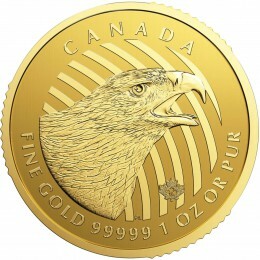 Our office was very busy today selling Gold Eagles, Silver Eagles and Maple Leafs to people who really do understand that the way to win in this market is to buy the dips and sell the tops. I have put together short articles by Dan Norcini, Jim Sinclair and Bill Murphy (LeMetropole Café) that will analyze the fall and show you that it means nothing, in the big picture. This is the summer and gold is weakest this time of year. Be patient, by the end of the year, your gold holdings will have you holding your head high. I usually address reader Emails at the end of the blog, but today I am putting three of them in the opening because they ask questions that should be answered. Question:Real wealth is 3000 ounces of gold? What about silver? You give very little attention to silver. Why? It is certainly very valuable, and I would think, a certain amount would equate to wealth as well. Answer: Of course silver is real wealth. In fact, I expect silver to outperform gold. I don’t mean to slight gold’s little brother and will try and write about it more in the future. Using a ratio of 50 ounces of silver to one ounce of gold, which I think we will see sometime soon, the equivalent of 3000 ounces of gold is 150,000 ounces of silver. Do you have a wharehouse to store it in? It would weigh nearly 10,000 pounds. 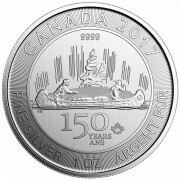 I would hate to measure my “wealth” in silver. It is easier and more convenient to do it in gold which would way less than 200 pounds. Own silver, but don’t put all your wealth into it. 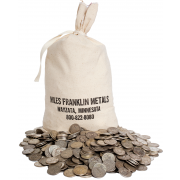 By today’s standards, it takes around 14,000 ounces to equal a quarter of a million dollars. That’s 28 mint boxes or 20 bags of junk silver. It will fill up a large gun safe. That same dollar amount in gold fills a cigar box. Therein is the issue. Question: I think that David should do an article on the new 1099 forms for selling over $600 worth of gold or silver which will start in 2012…. Answer: A lot has been written about this and I need not add to it, but I will say this – don’t worry about it. If the law is not excised from the legislation, which it may well be, then the mountain of 1099s that will flood the IRS will make it a useless tool, unless you are one of the unlucky few who will fall prey to a random audit. No one will ever check these against your tax returns. Chances are that no one ever checks the forms you fill out when you deposit $10,000 in your bank either. The paperwork runs into the billions of transactions. You stand out like a grain of sand on the beach. 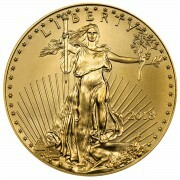 Also, if you are worried about the tax rate you pay, you do not understand gold and what it is all about. Gold is not an investment, it is money and you are better off owning it regardless of the tax rate or reporting requirements or even the possibility of confiscation. It is still your best choice asset for long-term capital preservation that works in either depression or hyperinflation. Thanks for another great daily….. I been playing metals for over 20 years and for some reason these seem the weirdest times I can remember. Today there has been nothing but buzzing on the “Internet” news of a soon to come something (war or some sort of action in the middle east) and what happens. Gold drops big time. Sort of like when all is quiet, and the ocean recedes and gains its strength, and while everyone is looking on dumbfounded, the big Tsunami hits everyone by surprise. Well ALMOST EVERY ONE.